The project comes from specific requests of the institutes to be linked according to the characteristics and specific scientific needs of each. 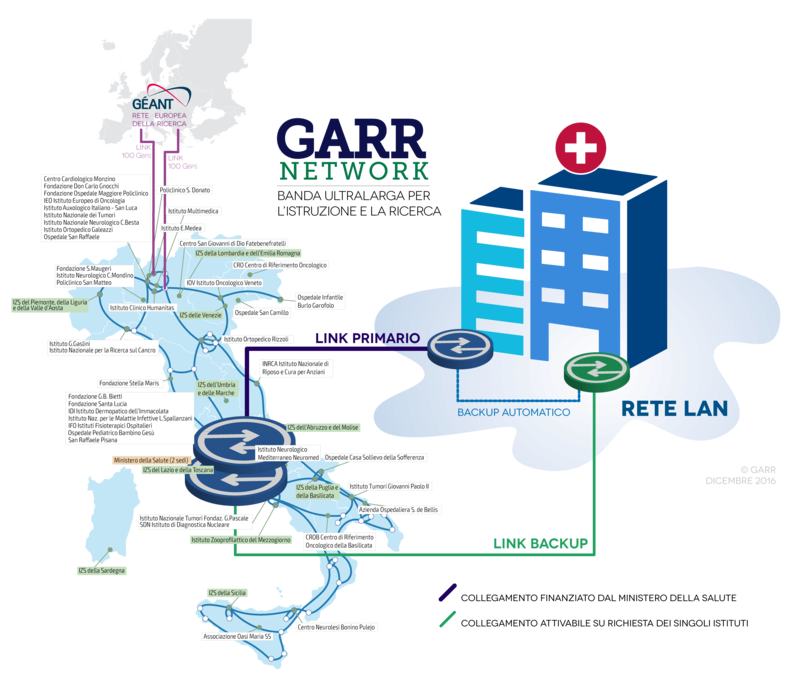 This infrastructure also facilitates scientific collaboration at European and international level through a capillary interconnection system with the other national research networks and the European GÉANT network. Training on network technologies adopted. 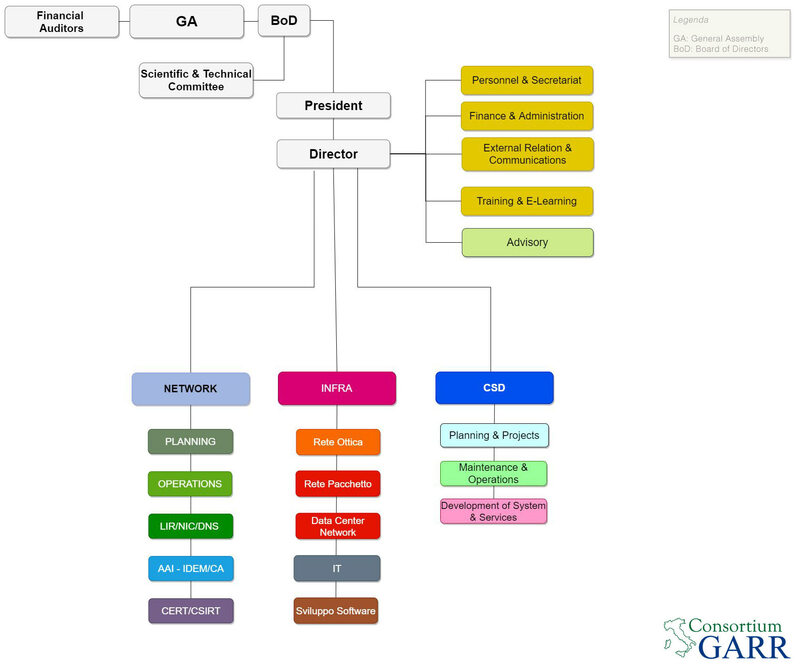 The proposed infrastructure provides each institution with a primary link to access the high capacity GARR network and, for organizations that request it, a secondary connection of equal or lower capacity to be used as backup of the primary link. GARR also provides a preconfigured termination device for the primary connection, plus a secondary connection device, if required. Where possible, the primary and secondary connections will be attested on two different Pop (points of presence), so as to guarantee reliability of the connectivity service.